I’m not a very happy father right now. When I got home from work today I learned that my daughter’s campaign for school treasurer hit a snag. Here is the problem. She is running for treasurer, so she and her mother thought that her campaign should do something comical with money. So, they went down to the dollar store and bought bags of fake money. 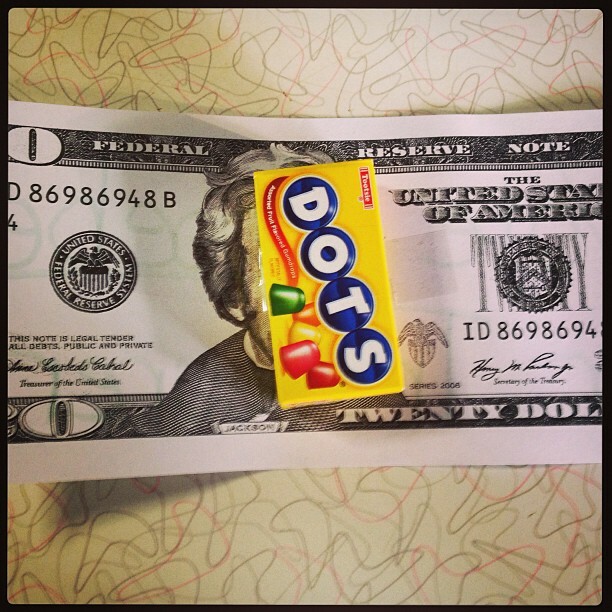 Then, right over the middle of phoney money where the president’s picture would be they taped candy to it. 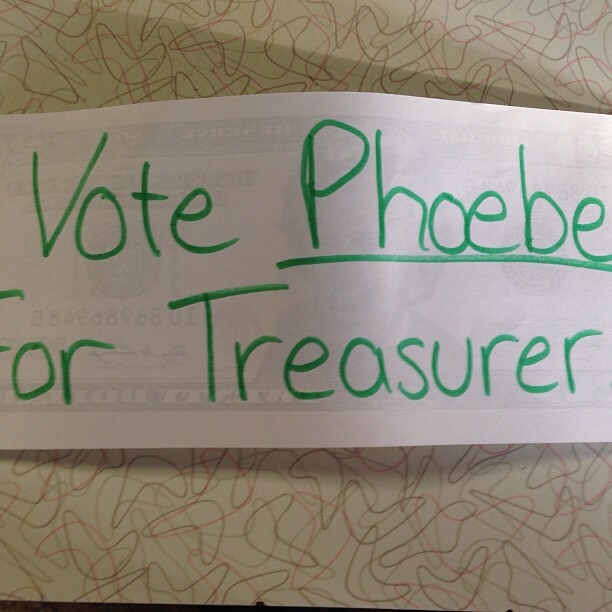 On the back of the phoney money they would hand write–“Vote for Phoebe for Treasurer.” Today and tomorrow she planned to hand them out to the students in the hallways and in class. She came home from school visibly upset because she was told that her campaign was inappropriate. Wait for it, wait for it . . . you would think that they objected to the candy, right? But no. They arbitrarily decided that the phoney money might be construed by some as a bribe of some type. Really? Tonight she has to pull all the candy off and tomorrow she can hand out the candy but can’t give away the phoney money. There is a serious lack of wisdom at Cedar Heights Junior High. There is another problem with this ridiculous school. 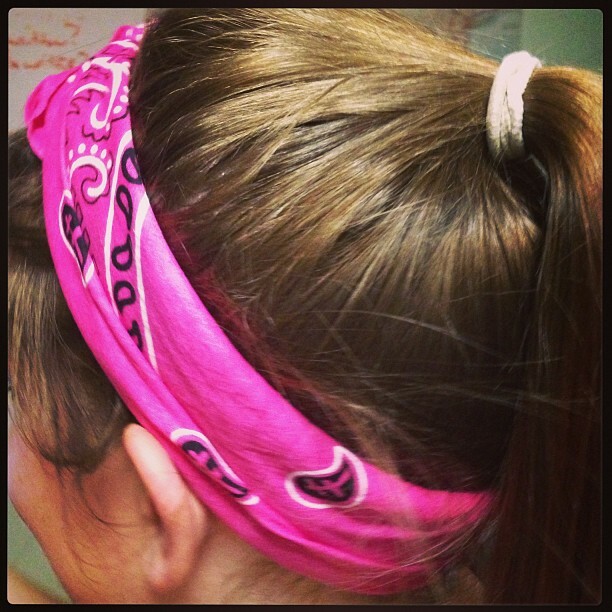 My daughter loves to wear bandanas, pink, purple, orange, yellow–very girlie bandanas in her hair. She has nice long hair that she works on and the bandanas are a part of her style. Guess what? Guess what? She was told to stop wearing these bandanas because, and I quote, “Bandanas are gang signs.” Maybe, I guess, but wouldn’t that just be part of your profile of a potential gang problem at the Junior High? You would expect some other kind of behavior in addition to simply wearing a bandana. Do they think that if there are no bandanas then people will stay way from gangs? I mean, can you imagine a group of students after school mulling around the idea of forming a gang but then suddenly realizing, “Oh no, bandanas are not allowed at school! I guess that means we can’t be in a gang. Sorry boys.” Its ridiculous. Besides that, I mean, a pink bandana, really? An orange bandana, and I might add, notice that these are slightly ‘country’ styled bandanas. What kind of gang would have country styled pink bandanas. The West Side Barbies? The Up-Town Tinkerbells? I mean, really? No, what this is all about, and you and I know what it s all about. It is a power trip. A person has the power to be arbitrary, so he or she is arbitrary. That is all it is. In the process they teach our children that rules are stupid and capricious and foolish so respect for institutions is further eroded. I agree henry. It’s all about power. This frustrated me DEEPLY! What do you think about this? What kind of gang would have country styled pink bandanas. The West Side Barbies? The Up-Town Tinkerbells? In all seriousness. It’s a grave social ill among the youth. An, unseemly, violent, and yet surprisingly melodious social ill.
Or something like that. . Boyd has 97 touchdown passes, two more than Rivers – now with the San Diego Chargers – had at North Carolina State from 2000-03. Boyd left the game and headed to the locker room in the third quarter after hurting his collarbone. But a few minutes later, Boyd bounced around the sidelines, tossing a football and said he was OK to re-enter the game.